1. Open the Windows Control Panel, then select the Network Connections item in Control Panel. A list of existing dial-up and LAN connections will appear. 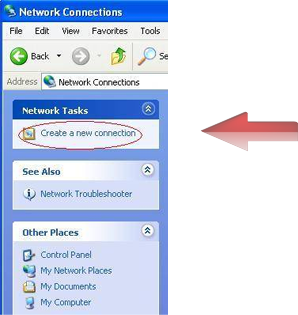 Choose the "Create a new connection" item from the left-hand side of the window as shown below. 2. 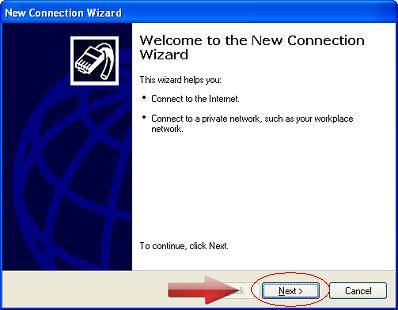 A new window now appears on the screen titled "New Connection Wizard" as shown below. 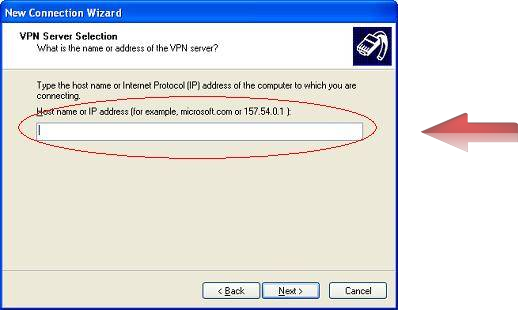 Windows XP will now ask you a series of questions to configure the new VPN connection. Click Next to begin the procedure. 3. 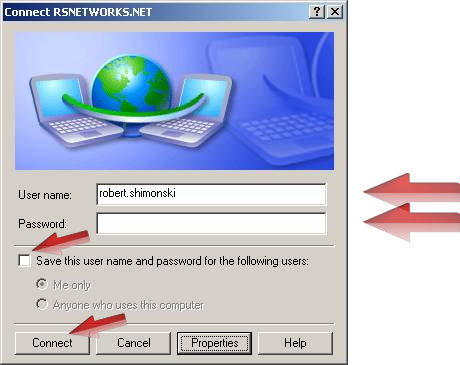 On the Network Connection Type page of the Windows XP New Connection wizard, choose the "Connect to the network at my workplace" item from the list as shown below. Then click to Next. 4. 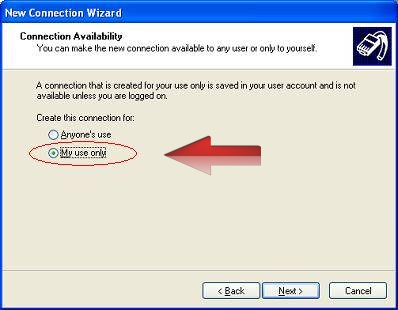 On the Network Connection page of the wizard, choose the "Virtual Private Network connection" option shown below. Then click "Next"
5. For the new BoxPN connection in the "Company Name" field enter “BoxPN Germany” as a connection name. Then click to Next. 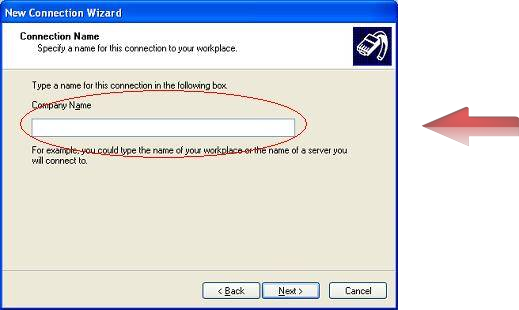 If you will be using another server of BoxPN, you can give its name like “BoxPN United States”. 6. 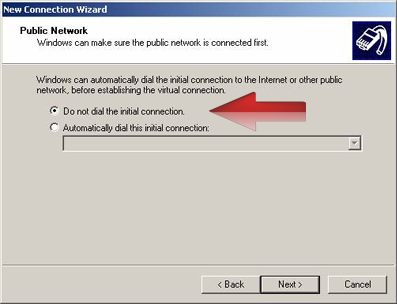 Choose the "Do not dial the initial connection" option. Then click to Next. 7. Enter host name of the BoxPN server address “ff-de.boxpnservers.com” (provided in your welcome email). Then click Next. 8. Choose "My Use Only," ensures that Windows will make this new connection available only to you if you desire. Click to Next. 9. Click “Add a shortcut to this connection to my desktop”, a BoxPN connection icon will be added to your desktop. 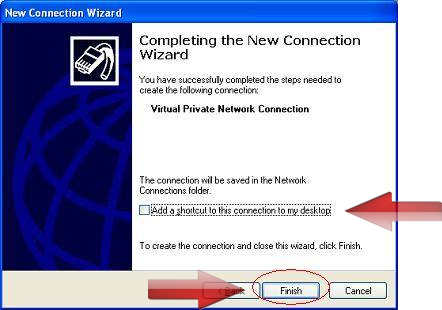 Click Finish to complete the wizard as shown below. 10. Enter your BoxPN account credentials. Enable “Save this user name and password for the following users:” and set as desired. 11. Click Connect. First connection usually takes not more then a minute. After connection you should now see the VPN connection successfully established. If you have any questions, or experience any issues while installing and setting up your PC to connect to the BoxPN VPN servers, please contact our Support Team anytime.